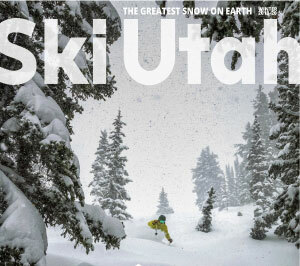 Welcome to Utah, home of The Greatest Snow on Earth®. Utah hosted the world during the 2002 Olympic Winter Games and now looks forward to hosting you. Located in the Rocky Mountains, Utah's 14 resorts receive over 500 inches/13 meters of desert dry snow each winter. Once you land at Salt Lake City International Airport, 10 ski and snowboard resorts are less than an hour drive. Whether you visit the uncrowded slopes of Northern Utah's resorts, enjoy lively apres-ski in Park City, ski legendary powder at Ski Salt Lake Resorts, or take in the red rock views of Utah's Southern resorts; your perfect ski holiday awaits.